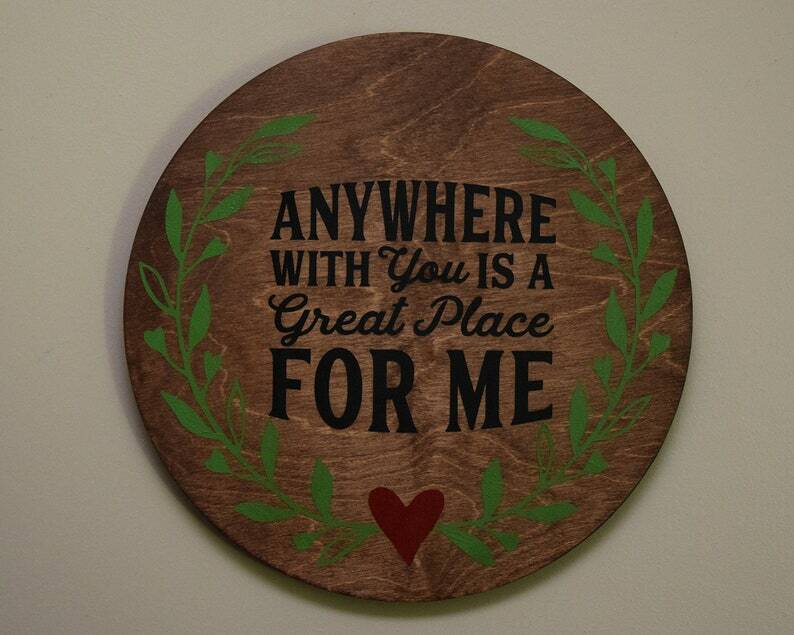 This rustic wood sign that says In Anywhere with you is a Great Place for me in black is the perfect wall décor as a wedding gift or an anniversary gift. This round sign makes a great gift for yourself or someone else. It would look great hanging in the bedroom, entry way, living room, or in an office. This round sign comes ready to hang.